You probably noticed it when you held your grandfather's Case. A slight smoother feel. Ever so rounded corners. Rivets worn just a tad flatter. They're all the result of being carried for years in a pant pocket. It's a good feel, one which we've matched with the advent of our Pocket Worn® hand finishing process. By spending a little extra time hand-crafting, we make them feel like they've been in your pocket forever. That's a Case Pocket Worn® knife. Case knives have always been prized for their hand-crafted quality and details but our Pocket Worn concept raised the hand-finishing process to a new level. To give the new knife a smooth, worn look and feel like that of a trusted old Case, Case hafters must carefully round the bolsters a little further, turn the edges just a little more, and give the knife a little extra buffing. Pocket Worn made its debut as a series of Old Red Bone knives in the 1996 Case Product Guide. The concept was actually developed as a kind of response to consumers we'd encounter at consumer shows and events. They'd ask, 'Why don'tcha make 'em like this anymore?' after pulling a well-traveled Case knife from their pocket. Needless to say, Pocket Worn became an instant hit. 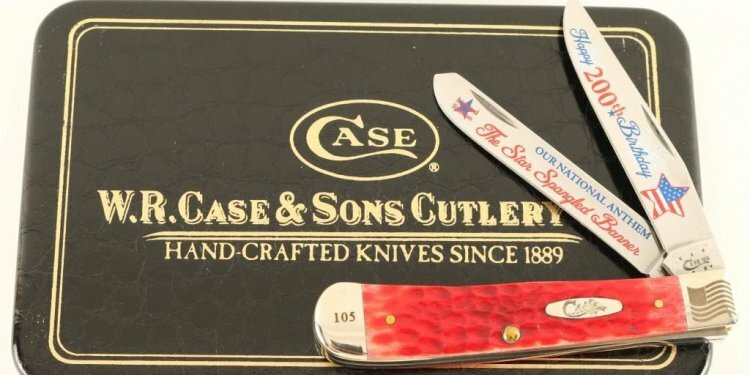 Since then Case has produced Pocket Worn knives in the following handle varieties over the last 15 years: Classic Green, Navy Blue, Natural, Old Black, Antique, Caribbean Blue, Harvest Orange, Aquamarine, Bermuda Green, Old Red, and Caramel.